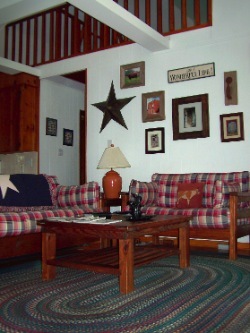 Stay in style in the heart of east Texas. 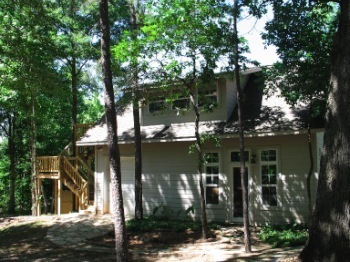 Located equidistant to Winnsboro, Gilmer, Quitman and Pittsburg, this property is in close proximity to the best East Texas has to offer. 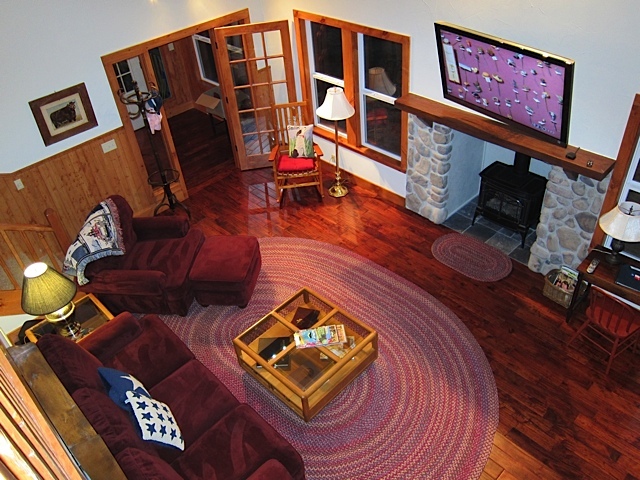 Hiking trails, birdwatching and canoeing are available on the acreage at no additional cost. 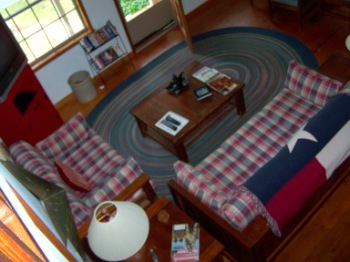 Fully furnished cottage overlooks a beautiful spring fed four acre pond. 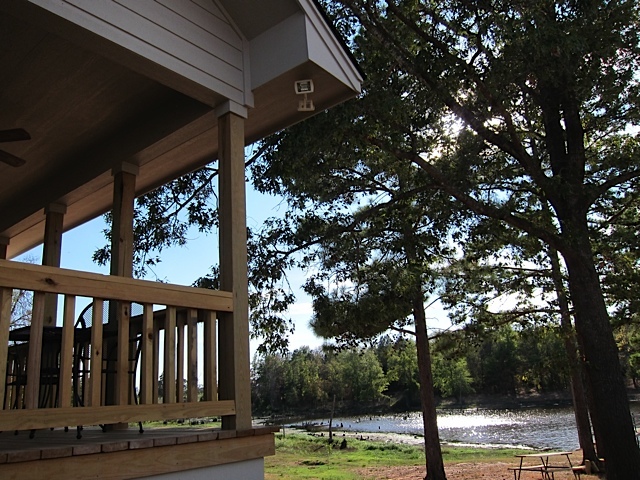 Lakeside Cottage is brand new and has wood floors, farmhouse sink, silestone counters, central heat/air and a beautiful gas log stove for ambiance. Perfect for a family retreat or a romantic getaway. 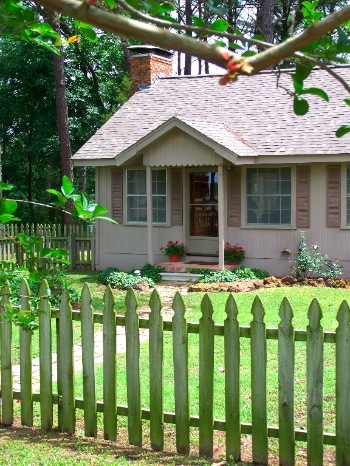 Located on our 250 acre working ranch Lakeside Cottage is tucked away on its own corner of the property. A sun room can double as a third bedroom as the daybed there can convert to two twin beds. . An open family room/kitchen is perfect for family gatherings. 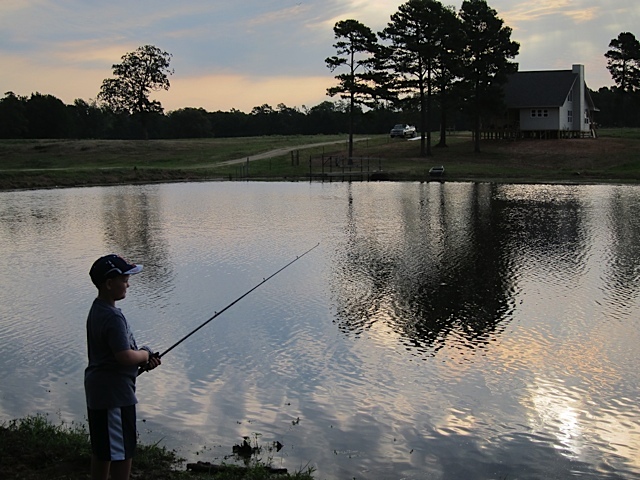 Guests are free to roam the ranch property which includes several small lakes (four to seven acres in size) and large expanses of wooded acreage where wildlife and birds abound. Fishing on the lakes is available. Lakes are stocked with bass, catfish and brim. 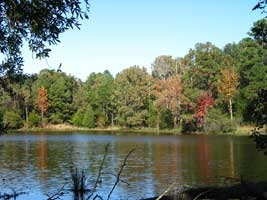 Spring Lake has Hybrid Bass and nearby Oak Grove Lake has Florida Bass along with catfish and bream. 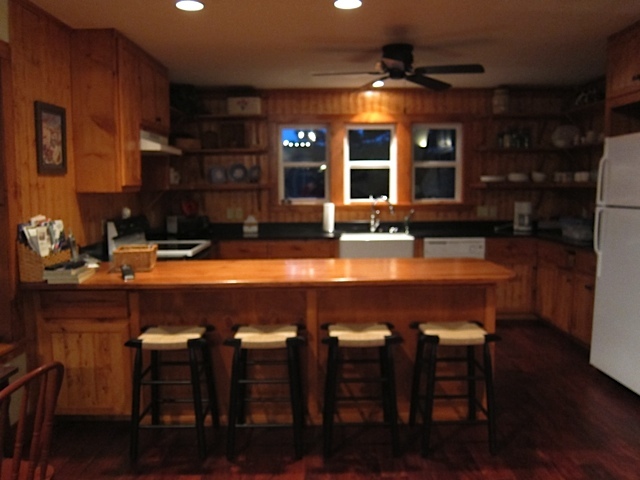 Lakeside Cottage sits on a 4 acre spring fed pond. This Guest House contains 1 double bed, 1 king bed, 2 twin/single beds. Maximum occupancy for this Guest House is 8. This Guest House has a private bath with a bathtub and shower. This Guest House contains 2 twin beds, 1 double bed, 1 queen bed. 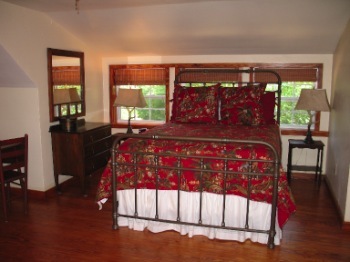 Treehouse is a beautiful studio guest suite over the detached carriage house. 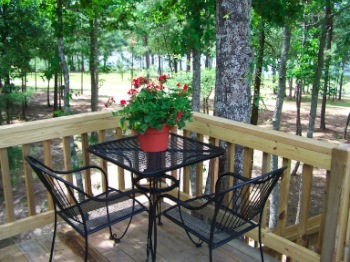 It is warm and cozy with wonderful views from the private deck high in the trees. 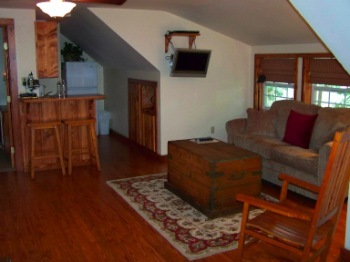 Treehouse features a queen bed, sitting area, dining table, full kitchen and full bath. It also has high speed Internet access, a telephone, TV with Satellite service, DVD and luxury bedding. The furnishings include a variety of antiques and architectural treasures. Perfect for a honeymoon suite! This Apartment has a private bath with a shower. This Apartment contains 1 queen bed. Maximum occupancy for this Apartment is 2.
this page or any part thereof may not be duplicated without express written permission of the copyright owner.